It sounds simple enough but what does self care actually mean? Responses from Twitter included running daily, sleeping, eating well and being able to manage a long-term condition. When the consumer healthcare industry talks about self care we generally mean the actions people take to treat and control symptoms of self-treatable conditions. Our messages centre on understanding the duration of symptoms, knowing what types of OTC medication are available and how to choose the most appropriate. Speaking to a pharmacist is also a core message within self care advice. PAGB research published in Self Care Week ‘Confused about self care?’ indicates that there is still a conflict between attitudes and behaviour on self care . 36% said they had been to a GP for advice on a self-treatable condition. Yet 76% expressed frustration about waiting times for GP appointments and 74% said that misuse of GP and A&E for self-treatable conditions means that the NHS will be harder to access when they need it. 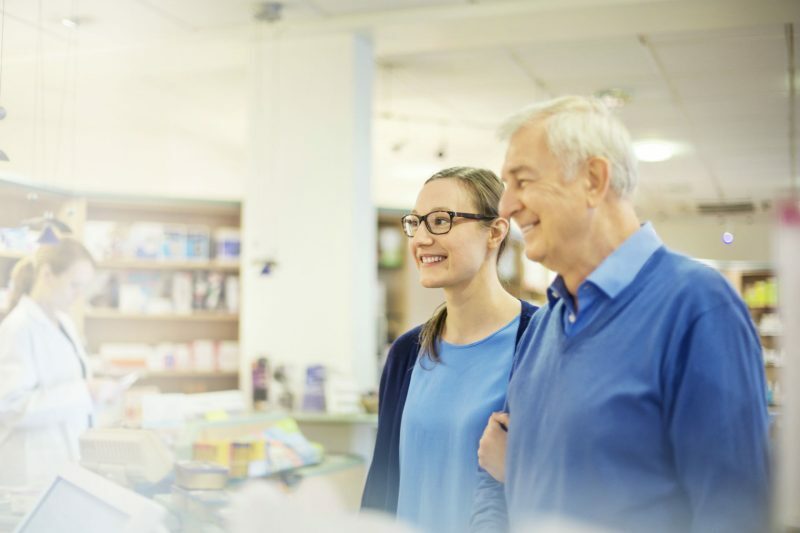 28% of respondents think more awareness of pharmacy training would help people feel more confident about asking a pharmacist for healthcare advice. Almost a quarter (24%) said that better education on how to treat common conditions would make them more likely to visit a pharmacist instead of going to the GP. This is all important stuff and the more we understand about people’s behaviour the more we can do to remove some of the barriers to self care. But to ignore the wider perspective on self care is to create further obstacles. All of us have self-treatable conditions at some point but we don’t live neatly partitioned lives where our self care needs can be dealt with one at a time. We’re complex, busy people with working lives, social and family networks, time pressures, preconceptions and habits. Self care as we understand it in the consumer healthcare industry is naturally part of a much bigger picture. PAGB celebrated when in October this year, the Oxford Living Dictionary chose to add ‘self-care’ to its lexicon. 1. The practice of taking action to preserve or improve one’s own health. 1.1 The practice of taking an active role in protecting one’s own well-being and happiness, in particular during periods of stress. It’s a sign of how widely used the term is but also shows that its definition is broader than that used by PAGB and our partners in the healthcare sector. Is this a problem? I would argue no. For me, this more rounded definition of self care fits neatly with my personal understanding of looking after myself, one element of which is to do what I can to stay healthy and to manage symptoms when I’m feeling under the weather. In terms of taking care of myself, this sits in a complex hierarchy alongside mental wellbeing, work-life balance, cleanliness, relaxation and good nutrition, each taking on a different significance depending on the circumstances. Contributions from health professionals to the #scwchat were notable for their focus on the whole person and on empowering people to self care through good, reliable health information. NHS England’s National Lead for Self-Care, New Care Models, Pritti Mehta pointed to the work from NHS England on 15 new care models to support implementation of self-care approaches, developing learning for the wider system. Read Pritti’s blog Building Confidence in Self Care for more on this. She also provided examples of fantastic work on the ground like Morecombe Bay CCG’s self care health information videos; NHS Wakefield CCG’s health and wellbeing self care tool; and the ‘Art of Being Brilliant’ programme from Wellbeing Erewash. If we want people to choose to self care for self treatable conditions, we need to see the bigger picture and find ways to make self care choices relevant, accessible and real. Health professionals in local communities are delivering creative, tailored programmes for their communities, they are also ambassadors for self care. As one twitter contributor reminded the chat, we each need to self care by example, #iselfcare. Go to the Self Care Forum website for more fantastic examples of self care in practice. Survey with 2,000 UK adults, carried out by 3Gem on behalf of the Proprietary Association of Great Britain. October 2017.